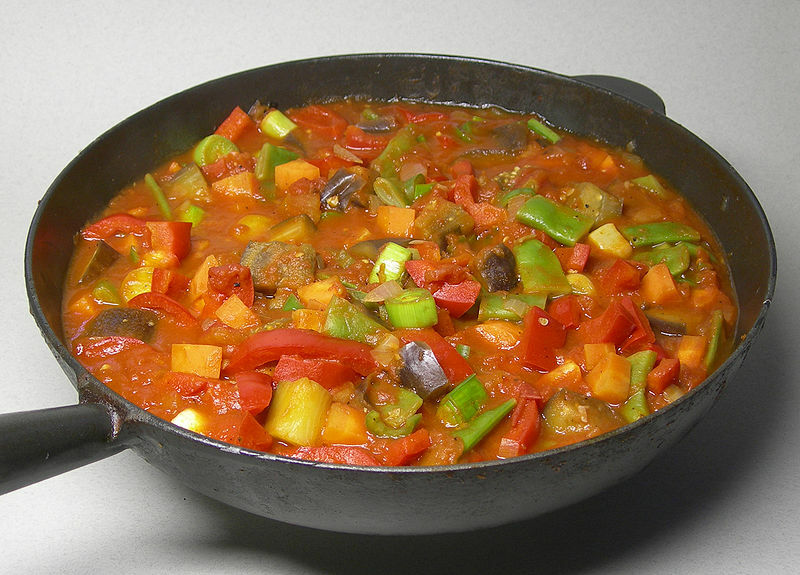 Đuveč is a dish in Serbian, Croatian, Bosnian, Bulgarian and Macedonian cuisine consisting of stewed vegetables similar to ratatouille. During meals it is usually served with meat, rice and French fries. The name Đuveč derives from the Turkish word Güveç, which means casserole.